Heaven ain’t got nothin’ on this place! Copper Lake is typically the second lake one will reach on the West Fork Foss Lakes Trail #1064, the first being Trout Lake. Comparing the two though is like night and day. As previously mentioned, you can get there by way of the Foss Lakes trail. You could feasibly get there all kinds of ways, but the trail is by far the easiest. 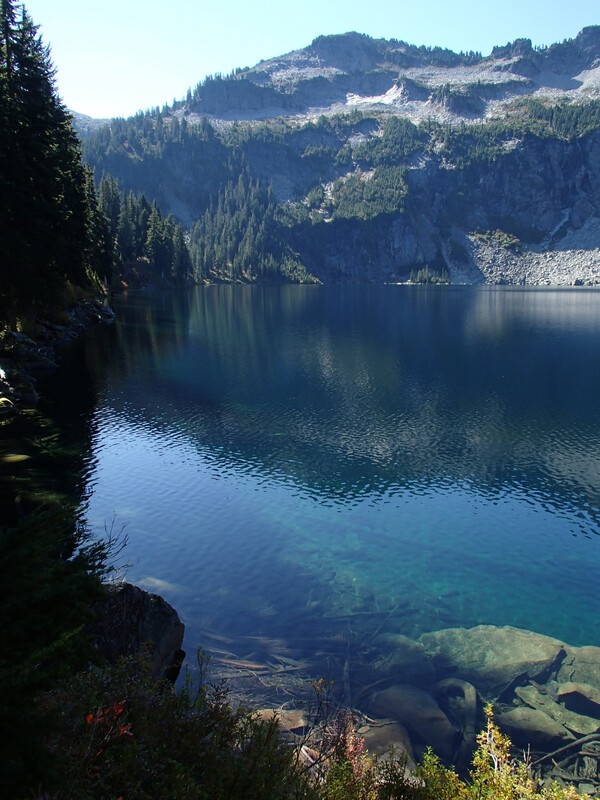 Copper Lake is one of the more popular destinations along the Foss trail, and being more or less the middle point, provides a decent base to explore the surrounding peaks, lakes and “whathaveyas”. There is a collapsed adit at the south end of the lake, in fact the trail utilizes the tailings pile as it heads to Little Heart Lake. According to DWHM#1 there may exist a claim “1 mile south of Malachite Lake on a ridge west of Copper Lake”. It is described as a “Caved pit and caved adit”. I’ve heard speculation that these may be the same claim. I’ve caught both Cutthroats and Brook Trout out of Copper Lake. The most convenient fishing access is at the north end of the lake, but the intrepid may be able to find access to less accessible shoreline. If you are so inclined, you could hike up an inflatable raft and ply the azure waters until your heart is content. Copper Lake is pretty big, and the trail ambles along it’s eastern shore for it’s entirety. This affords many campsites to choose from. The north end of the lake hold the lion’s share of campsites, but others exist along the trail, and between Copper and Little Heart Lakes. There is a backcountry toilet available for use here, so please, if nature calls, use it rather than a cathole. 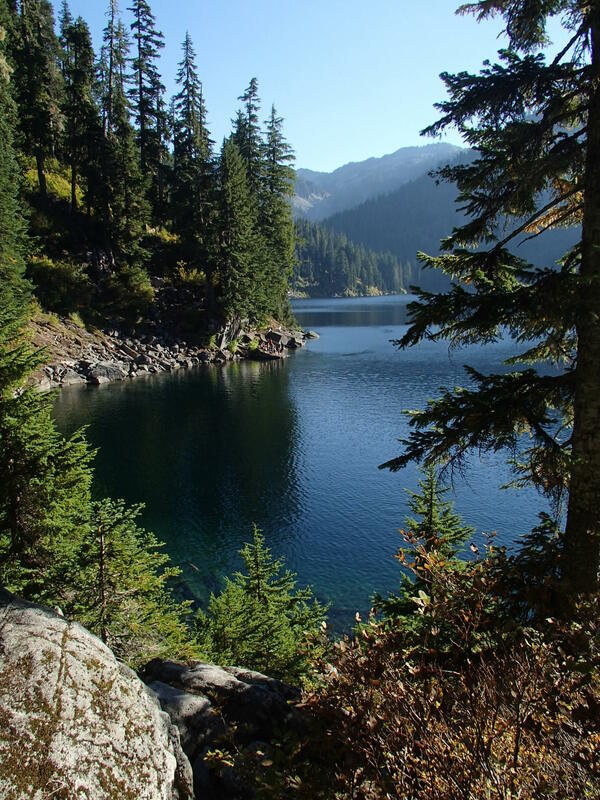 Campfires are prohibited at Copper Lake and any point over 4000’ft in the Alpine Lakes wilderness (west). Agreed – this looks like heaven. I wouldn’t mind spending some time on the shores of Copper Lake.